Can Guinea Pigs Eat Just Pellets? 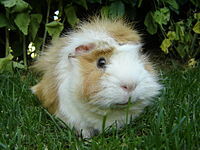 Pellets are widely used by guinea pig owners to provide them with a good vitamin c supplement. They are very often eaten by guinea pigs as a food but can they just eat pellets and nothing else? Can guinea pigs just eat pellets? 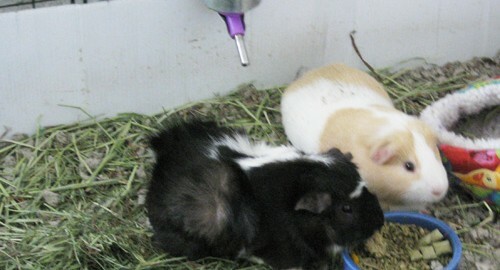 Of course, guinea pig pellets are great for them to eat and they really enjoy eating them. however, they don’t provide the guinea pig the opportunity to chew. What this means is that they can’t exercise their gnawing action like they normally need to do. this is what they should be eating hay 75% of the time at least. If they don’t’ eat hay constantly, their teeth will not be ground down like it should be and will grow beyond what they are used to. Hay also provides other nutritional benefits that pellets don’t. This is why pellets are best combined with hay in order to provide guinea pigs with a good diet. You should also feed them regular veggies in order to mix things up for them diet wise, along with fresh water. So pellets are fantastic for guinea pigs but treat them as a supplement and not their main food.